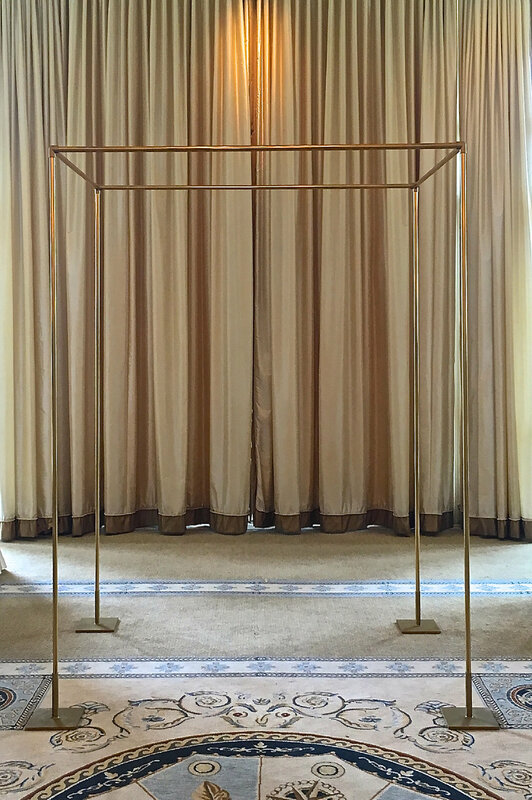 Original canopies paired with poles in gold or white. Available as handheld or freestanding. Lightweight and easy to assemble, they are ideal for destination weddings and DIY set up.